Montsalvatge’s career is a rich one that is largely unknown outside the Iberian peninsula, as a lingering result of a fratricidal civil war and four decades of an isolating political regime. Its importance in enlarging the musical history of Europe is substantial, but it is at least equally important as offering a gateway to a rich historical and cultural milieu: that of Barcelona, which is increasingly taking its place as a center of the fine arts, design, and modern architecture, while the rich musical life — distinct from but related to the better-known strands of France and Spain — still requires introduction to much of the world; Montsalvatge’s life holds interest as a story representing one man’s ways of negotiating the perils and opportunities that confronted him in a period whose secrets are still being revealed. 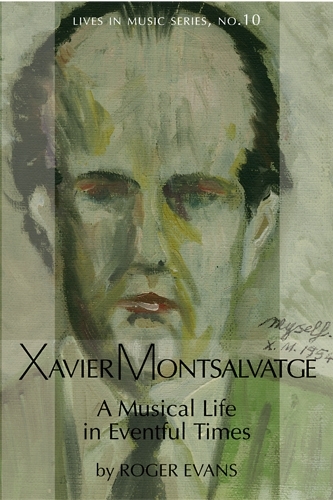 An exploration of the variety and excellence of Montsalvatge’s musical output justifies this first introduction in English to the body of work of an artist and writer whose assumption of his place among the acknowledged international greats is overdue.